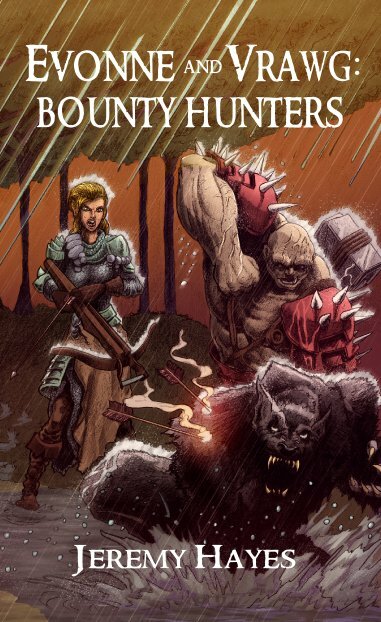 Northlord Publishing: Evonne and Vrawg: Bounty Hunters is now available! Evonne and Vrawg: Bounty Hunters is now available! 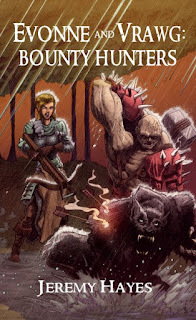 The sixth book by Jeremy Hayes, Evonne and Vrawg: Bounty Hunters, is now available on all Amazon channels. Currently it is only available as a paperback, the ebook version is coming soon. Evonne and Vrawg were first introduced in The Stonewood Trilogy and this novel takes the readers back to find out how the two bounty hunters met and formed an unbreakable bond.